Vote for the artist of your choice! Votes go in the comments. 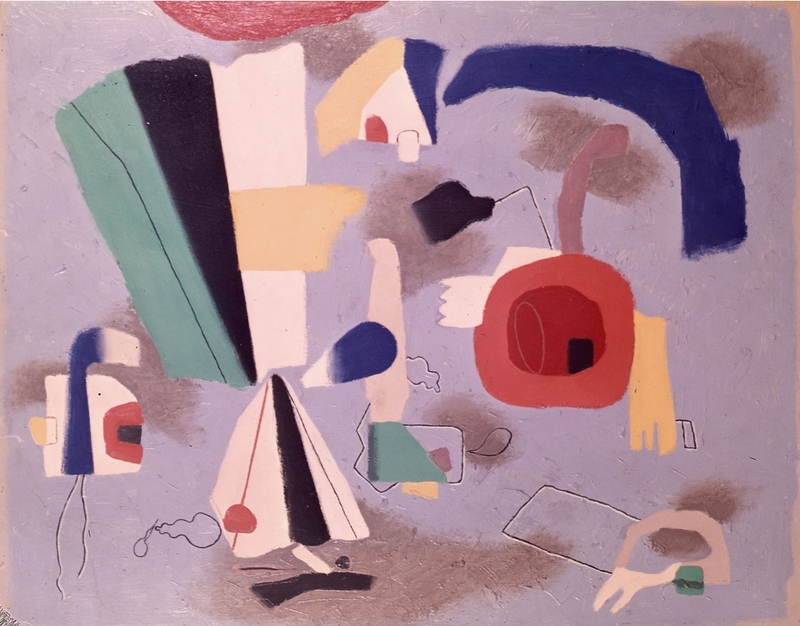 Commentary and links to additional work are welcome. Polls open for one month past posting. 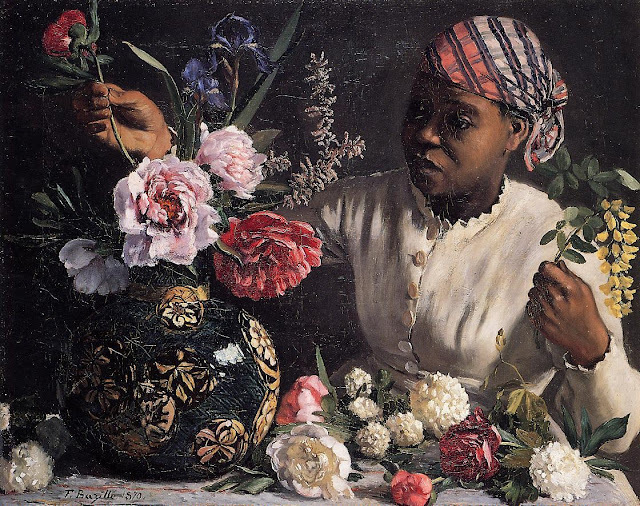 Well, they're both likable enough, but I'll go with Bazille--it looks like both of these were painted the year of his death, at age twenty-nine. If he'd lived longer, maybe I'd have heard of him! 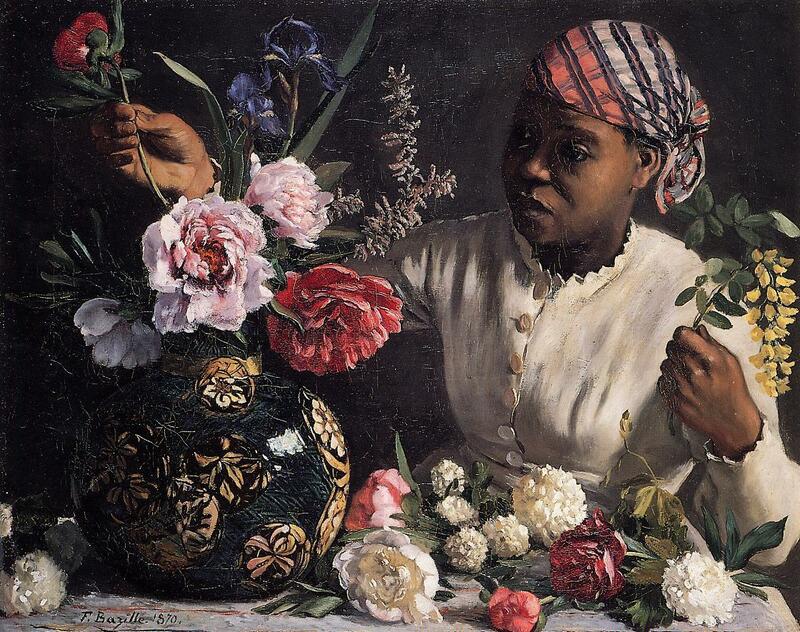 I wasn't blown away by any of them, until I scrolled down to the last Bazille picture, and *was* blown away at the picture, the use of shadow, etc. Bazille all the way! Bazille. I don't like art when I feel like I could reproduce it … like the first one. Hmm - I like the first paintings you posted by each of them more than either of the second ones, but that's not a voting option. I think I'll go against the flow and vote for Baumeister. I agree with lamanyana, and similarly will vote for Baumeister. I really like that blob that just sat on some kind of delicate wire sculpture. I agree with Nichim, and similarly will vote for Baumeister. I really like that blob that just sat on some kind of delicate wire sculpture. 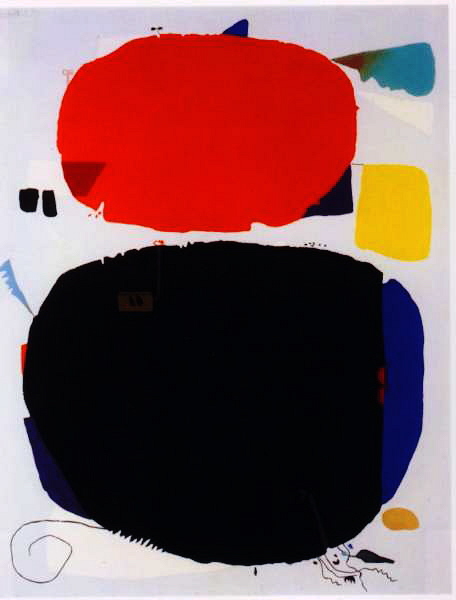 Miro working under a pseudonym? Bazille. There's something that strikes me as very funny about the first one--the pianist in the corner and the guy on the random stairs and the completed paintings nobody's paying attention to, and the tall guy's apparently canary-colored tennis shoes. Okay, maybe it's not incredibly funny, but it strikes me as humorous. And I like it. 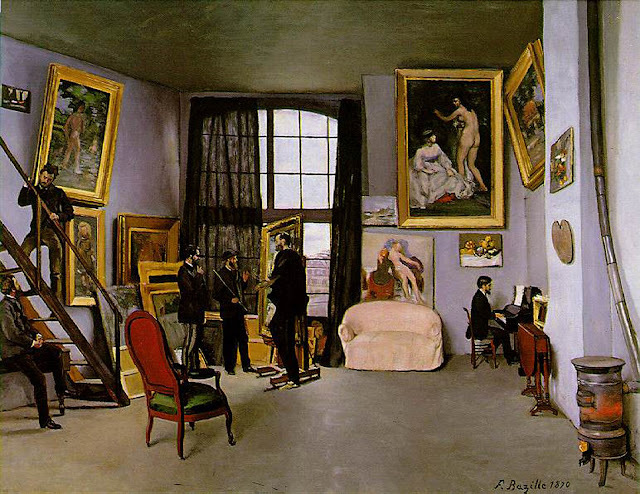 Polls closed: Bazille takes it!